You could say that following Lehigh football through the first five weeks has been an exercise in frustration. That's probably understating things quite a bit. The season was not supposed to unfurl itself in this way. The Mountain Hawks, rated in the Top 25 to start the season, remained that way after losing a tough game against Villanova, but then fell out of the national rankings when they followed that up with a loss to Monmouth. And since, the team has just kept losing, each week more excruciating than the last. Some Lehigh fans appear to think that the Mountain Hawks could turn things around and make a run at the Patriot League Championship in a world where the Patriot League is a combined 9-20 against out-of-conference foes. I suppose it is still possible. But to this fan, this goal can't be the focus of the coming week. Speaking as a fan, I feel the focus of all the players and coaches needs to be on one singular goal: how to win one, singular, football game. 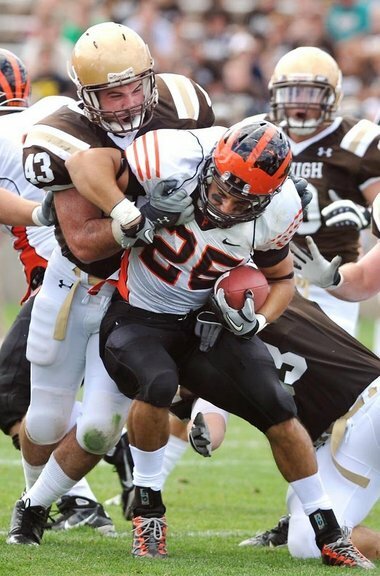 Every Lehigh football team, the best of teams and the worst of teams, have made mistakes at times. Legendary teams have had boneheaded penalties, interceptions, and errors, and they're part of the game. 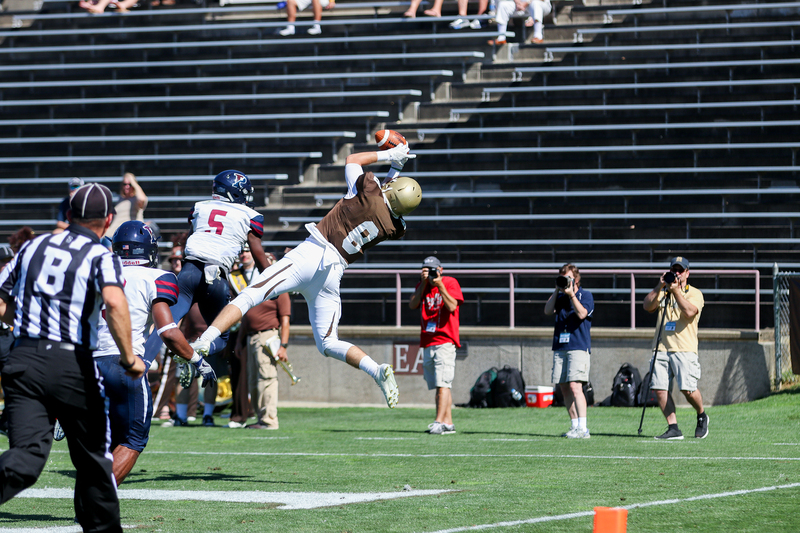 The difference between the successful and unsuccessful Lehigh football teams I have observed over the years are how they respond to the errors, and how they get better from week to week. Five games in, I am seeing a Lehigh team still making a bunch of first-game mistakes and, even worse, seeing those mistakes have a falling-down-the-stairs feel to them, where one mistake makes another, and another. There was a fateful sequence at the end of the first half of the Wagner game that put in motion Lehigh's defeat - a failure of all three phases. Up 14-7, the defense, the unit yielded a game-tying drive, followed by a special teams miscue that led to a field goal, followed by a drive that ended with a home-run ball intercepted by Wagner DB David Thomas. All three of these breakdowns were not because of one individual or one coach, but nonetheless are the type of breakdowns that, frankly, don't happen on championship teams. They might happen early on during the year - but not one after the other, and not when the games start to have even more meaning. In order to win a football game, mistakes like that have to stop happening. Third downs need to be stopped. Plays need to be made. If you don't stop anyone on third down, you will lose. If you take a mistake and follow it up with another mistake, you will lose. I have seen teams that have responded and improved after making early mistakes. Lehigh's 2010 team with QB Chris Lum, OL Will Rackley and WR Ryan Spadola didn't start out looking like the world-beaters they would become, coming into the season off of a bitter QB battle and making plenty of mistakes against New Hampshire and getting shut out by the then-defending national champions, Villanova, to start with a pretty uninspiring 2-2 record. But I've also seen teams that have pulled themselves apart, like the 2014 team that started 0-5 and ended up 3-8 with the I-don't-want-to-talk-about-it 150th meeting in Yankee Stadium against Lafayette. I don't know which way this 2017 version of the Lehigh Mountain Hawks will go. Watching the games, there are tantalizingly beautiful plays that appear that hint at a better, crisper team that could emerge. Already you can pack quite a highlight film of senior CB Quentin Jones' pass break-ups from Wagner, or amazing Franco Harris-like runs by junior RB Dominick Bragalone, or tremendous passes from junior QB Brad Mayes to freshman WR Jorge Portorreal, senior WR Gatlin Casey and senior WR Troy Pelletier. Yet paired with the highlight-reel plays are the mistakes that lose games. Giving up big play touchdowns. Untimely turnovers. Special teams mistakes. As this bitterly disappointing early season has unfortunately shown, sometimes mistakes are more pertinent to winning and losing games than statistics and highlights. The sooner everyone associated with Lehigh starts realizing this is the sooner that this disappointing season starts getting out of its tailspin and into a better outcome - winning a football game. Learning how to win one football game, this weekend, versus Colgate can, and must, be the only focus this week. The time is now. So True. This is the season coming up. Another mistake filled performance on "the tundra" will result in a rout...and at that point we will be in dire straits, with the only salve that lowly Georgetown follows. This team, and that includes the staff, needs to wake up now! This article is so misinformed. Impossible to just show up and decide that this is going to be the day that everything turns around. Colgate wins in a rout. No, not in the least uninformed but perhaps a bit optimistic. He stated the obvious facts and key points- LU needs to scrap thoughts of running the table in the PL and just eliminate mistakes for one damn game, and then see what happens. The offense has all the tools to take care of business, that has never been in doubt. The 'Gate squad in 2017 is not one of their all time great teams. I thought HC was unbeatable a couple weeks back, but losing to a very bad Pard team, its far from untouchable. If you've read Chuck for at least a decade like I have, you know he is unable to be anything other than optimistic. And that's good. I for one applaud that trait, to counter the obnoxious cynics like me.